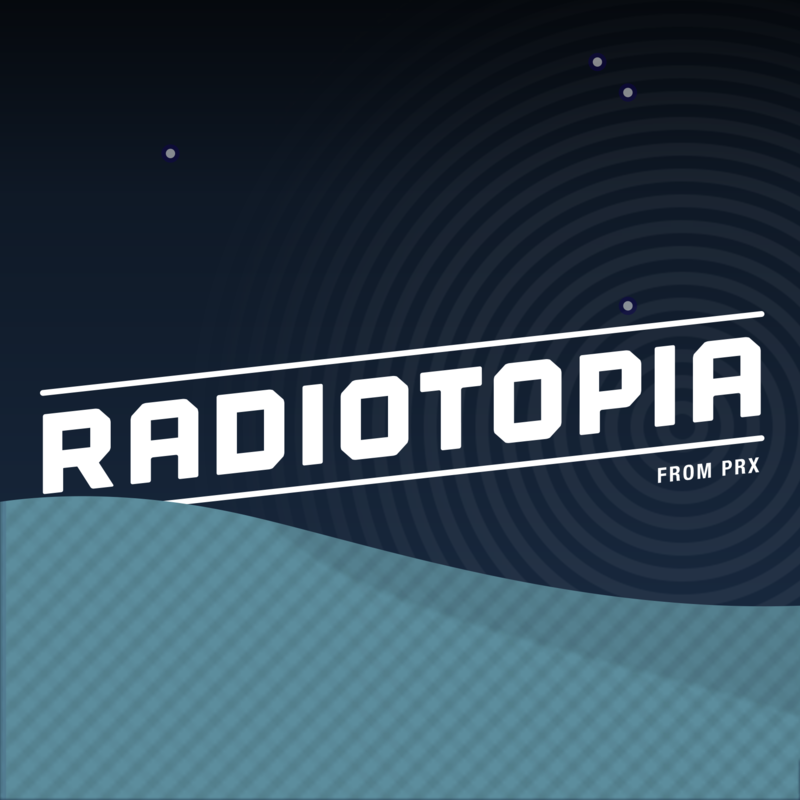 Radiotopia from PRX is a collective of the best story-driven shows on the planet. From PRX's Radiotopia, Ear Hustle brings you the stories of life inside prison, shared and produced by those living it. There are only a few ways to leave prison: serve your time, get out early on parole ... or escape. Steve, Danny, Phillip and Ron are all trying to make their way out of prison. In the final episode of season one, these men share their stories of going through the parole hearing process and contemplate life on the outside, after being incarcerated for decades. 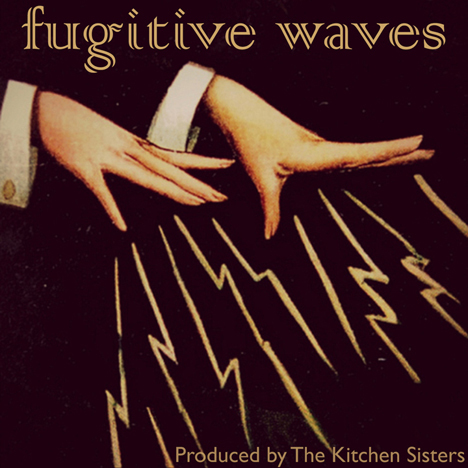 Fugitive Waves -- Lost recordings and shards of sound, along with new tales of remarkable people from around the world. Stories from the flip side of history. Folklorist and Professor Bill Ferris, a Grammy nominee this year for his "Voices of Mississippi" 3 CD Box set, has committed his life to documenting and expanding the study of the American South. His recordings, photos and films of preachers, quilt makers, blues musicians and more are now online as part of the Southern Folklife Collection at the University of North Carolina. Bill Ferris grew up on a farm in Warren County, Mississippi along the Black River. His family, the only white family on the farm, worked side by side with the African Americans in the fields. When he was five, a woman named Mary Gordon would take him every first Sunday to Rose Hill Church, the small African American church on the farm. When Bill was a teenager he got a reel-to-reel tape recorder and started recording the hymns and services. “ I realized that the beautiful hymns were sung from memory—there were no hymnals in the church—and that when those families were no longer there, the hymns would simply disappear.” These recordings led Bill to a lifetime of documenting the world around him—preachers, workers, storytellers, men in prison, quilt makers, the blues musicians living near his home (including the soon-to-be well known Mississippi Fred McDowell). Bill became a prolific author, folklorist, filmmaker, professor, and served as chairman of the National Endowment for the Humanities. He is a professor of history at UNC–Chapel Hill and an adjunct professor in the Curriculum in Folklore. He served as the founding director of the Center for the Study of Southern Culture at the University of Mississippi, where he was a faculty member for 18 years. He is associate director of the Center for the Study of the American South. Bill’s has written and edited 10 books and created 15 documentary films, most dealing with African-American music and other folklore representing the Mississippi Delta. His thousands of photographs, films, audio interviews, and recordings of musicians are now online in the William R. Ferris Collection, part of the Southern Folklife Collection at the University of North Carolina. This story was produced by Barrett Golding with The Kitchen Sisters for The Keepers series. 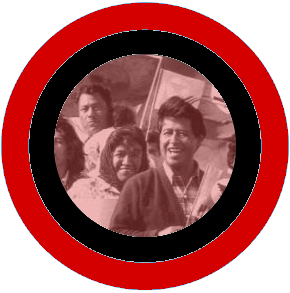 "Peregrinar" is about a march led by Cesar Chavez. Since the beginning of time, strangers and strange places have given rise to our wildest dreams and our deepest fears — and to the greatest stories on earth. Hear them here. Real people, true stories. In this third installment of Love Hurts, Lea seeks dating advice from two experts and lets it all hang out. Love Hurts is a series in which Lea investigates why she is single. We recommend listening to the episodes in order. The story of William Cimillo, a New York City bus driver who snapped one day in 1947, left his regular route in the Bronx, and drove his municipal bus down to Florida. 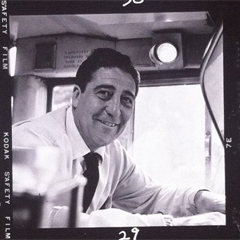 The story of William Cimillo, a New York City bus driver who snapped one day in 1947, left his regular route in the Bronx, and drove his municipal bus down to Florida. This story originally aired on This American Life. Criminal is a podcast about crime. Not so much the “if it bleeds, it leads,” kind of crime but something a little more complex. Stories of people who’ve done wrong, been wronged, or gotten caught somewhere in the middle. When Martin McNally met another plane hijacker in prison, they started coming up with a plan to escape…using the very thing that got them there in the first place. On the evening of May 31, 2009, 216 passengers, three pilots, and nine flight attendants boarded an Airbus 330 in Rio de Janeiro. This flight, Air France 447, was headed across the Atlantic to Paris. The take-off was unremarkable. The plane reached a cruising altitude of 35,000 feet. The passengers read and watched movies and slept. Everything proceeded normally for several hours. Then, with no communication to the ground or air traffic control, flight 447 suddenly disappeared. Days later, several bodies and some pieces of the plane were found floating in the Atlantic Ocean. But it would be two more years before most of the wreckage was recovered from the ocean’s depths. All 228 people on board had died. The cockpit voice recorder and the flight data recorders, however, were intact, and these recordings told a story about how Flight 447 ended up in the bottom of the Atlantic. The story they told was was about what happened when the automated system flying the plane suddenly shut off, and the pilots were left surprised, confused, and ultimately unable to fly their own plane. The first so called “auto-pilot” was invented by the Sperry Corporation in 1912. It allowed the plane to fly straight and level without the pilot’s intervention. In the 1950s the autopilots improved, and could be programed to follow a route. By the 1970s, even complex electrical systems and hydraulic systems were automated, and studies were showing that most accidents were caused not by mechanical error, but by human error. These findings prompted the French company Airbus to develop safer planes that used even more advanced automation. Airbus set out to design what they hoped would be the safest plane yet—a plane that even the worst pilots could fly with ease. Bernard Ziegler, senior vice president for engineering at Airbus, famously said that he was building an airplane that even his concierge would be able to fly. Not only did Ziegler’s plane have auto-pilot, it also had what’s called a “fly-by-wire” system. Whereas autopilot just does what a pilot tells it to do, fly-by-wire is a computer-based control system that can interpret what the pilot wants to do, and then execute the command smoothly and safely. For example, if the pilot pulls back on his or her control stick, the fly-by-wire system will understand that the pilot wants to pitch the plane up, and then will do it at the just the right angle and rate. Importantly, the fly-by-wire system will also protect the plane from getting into an “aerodynamic stall.” In a plane, stalling can happen when the nose of the plane is pitched up at too steep an angle. This can cause the plane to lose “lift” and start to descend. Stalling in a plane can be dangerous, but fly-by-wire automation makes it impossible to do. As long as it’s on. Unlike autopilot, the “fly-by-wire” system cannot be turned on and off by the pilot. However, it can turn itself off. And that’s exactly what it did on May 31, 2009, as Air France Flight 447 made its transatlantic flight. When a pressure probe on the outside of the plane iced over, the automation could no longer tell how fast the plane was going, and the autopilot disengaged. The “fly-by-wire” system also switched into a mode in which it was no longer offering protections against aerodynamic stall. When the autopilot disengaged, the co-pilot in the right seat put his hand on the control stick—a little joy stick like thing to his right—and pulled it back, pitching the nose of the plane up. This action caused the plane to go into a stall, and yet, even as the stall warning sounded, none of the pilots could figure out what was happening to them. If they’d realized they were in a stall, the fix would have been clear. “The recovery would have required them to put the nose down, get it below the horizon, regain a flying speed and then pull out of the ensuing dive,” says William Langewiesche, a journalist and former pilot who wrote about the crash of Flight 447 for Vanity Fair. The pilots, however, never tried to recover, because they never seemed to realize they were in a stall. Four minutes and twenty seconds after the incident began, the plane pancaked into the Atlantic, instantly killing all 228 people on board. There are various factors that contributed to the crash of flight 447. Some people point to the fact that the airbus control sticks do not move in unison, so the pilot in the left seat would not have felt the pilot in the right seat pull back on his stick, the maneuver that ultimately pitched the plane into a dangerous angle. But even if you concede this potential design flaw, it still begs the question, how could the pilots have a computer yelling ‘stall’ at them, and not realize they were in a stall? It’s clear that automation played a role in this accident, though there is some disagreement about what kind of role it played. Maybe it was a badly designed system that confused the pilots, or maybe years of depending on automation had left the pilots unprepared to take over the controls. “For however much automation has helped the airline passenger by increasing safety it has had some negative consequences,” says Langewiesche. “In this case it’s quite clear that these pilots had had experience stripped away from them for years.” The Captain of the Air France flight had logged 346 hours of flying over the past six months. But within those six months, there were only about four hours in which he was actually in control of an airplane—just the take-offs and landings. The rest of the time, auto-pilot was flying the plane. Langewiesche believes this lack experience left the pilots unprepared to do their jobs. Complex and confusing automated systems may also have contributed to the crash. When one of the co-pilots hauled back on his stick, he pitched the plane into an angle that eventually caused the stall. But it’s possible that he didn’t understand that he was now flying in a different mode, one which would not regulate and smooth out his movements. This confusion about what how the fly-by-wire system responds in different modes is referred to, aptly, as “mode confusion,” and it has come up in other accidents. Langewiesche isn’t the only person to point out that ‘What’s it doing now?’ is a commonly heard question in the cockpit. In 1997, American Airlines captain Warren Van Der Burgh said that the industry has turned pilots into “Children of the Magenta” who are too dependent on the guiding magenta-colored lines on their screens. Langewiesche thinks that we are ultimately heading toward pilotless planes. And by the time that happens, the automation will be so good and so reliable that humans, with all of their fallibility, will really just be in the way. Producer Katie Mingle spoke with William Langewiesche, a former pilot who wrote an article in Vanity Fair about this flight, as well as Nadine Sarter, a systems engineer at the University of Michigan. This episode also features the voice of Captain Warren Van Der Burgh.